Have you ever taken your kids to a LEGO event? If they like LEGO, and I am guessing they do since you are reading this, you definitely should consider going. We have all the info you need below. 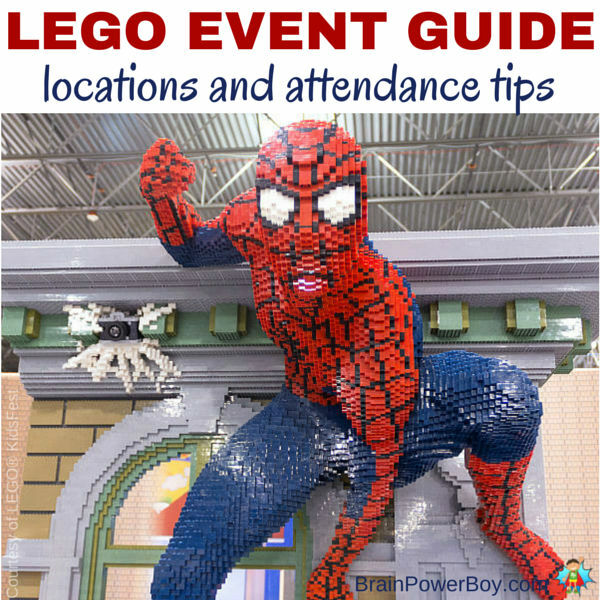 For a super inspiring time use our LEGO Convention and Event Guide to find out if there is one near you. These events are great for kids. They are all a bit different so you will want to check locations and decide which type of event would be best. Either way these events can be a lot of fun and kids can really learn a lot while they are there. Other builders are happy to share tips and tell the kids about their builds and how they were made. This post may contain affiliate links which means we may receive a small commission, at no cost to you, if you make a purchase through a link. All opinions are our own and we share things we think would be of interest to boys. Going to a LEGO convention or event is a lot of fun. Here are some tips to make your trip even better. 1. You will want to sign up for the newsletters of the events you are interested in to get dates and locations. Some shows travel so you want to make sure you know where they will be each year. Plus, get info on advanced ticket sale pricing. 2. These events sell out. If you want to go, your best bet is to buy tickets as soon as they go on sale. 3. If you don’t buy tickets ahead of time and they happen to have some left, expect long lines. 4. If you are traveling, be sure to make your reservations at the same time you buy tickets. Hotel rooms in the direct vicinity sell out fairly quickly. 5. Know that most of these events are very crowded! Repeat – very crowded. This also means that they are very loud. Make sure your kids can handle the atmosphere and make plans to take breaks. 6. If there are specific things your kids want to do make sure do them first. Also set your timer for specific activities so you don’t miss them. Time seems to slip away and you don’t want to miss out! 7. If you are shopping know your prices. There are vendors from all over and they don’t always have the best prices. 8. Shop at the beginning of the day for best selection. 9. Shop at the end of the day for possible deals as vendors may not want to pack everything up and bring it home. 10. Enter the drawings – you just might win something! I am starting off with the events that are perfect for kids. The others mentioned are more geared toward Adult Fans of LEGO (AFOL) though kids are also welcome to attend with an adult. If you have a beginning builder, stick with the kid-oriented events. If you have an enthusiast or an older child who wants to take their building up a notch an Adult Fan of LEGO convention might be just the ticket. BrickFest Live is held in various cities across the US. This was developed for kids! Watch the video to get an idea of what they have to offer and check the site for locations and dates. Brickworld holds events in Chicago, Ft. Wayne, Indianapolis, Lafayette and Tampa and it is big! This is more geared toward adults and older kids but they do have a kidsworld as well. You need to register and there are two registration options. Full registration (for AFOL and teens accompanied by an adult) and All Access for families. Check the site for additional details. BrickCon Exhibition is the oldest LEGO convention and is located in Seattle. It is put on by AFOL and runs Thursday through Saturday. The convention is for adults and kids 14+ w/adult. Families can attend the exhibition. LEGO creators bring their builds for display. You can see incredible builds, get building tips, meet and talk with other fans. There is also an opportunity to create in the building zone. Bricks by the Bay in Northern California. BrickUniverse in Raleigh and Dallas. 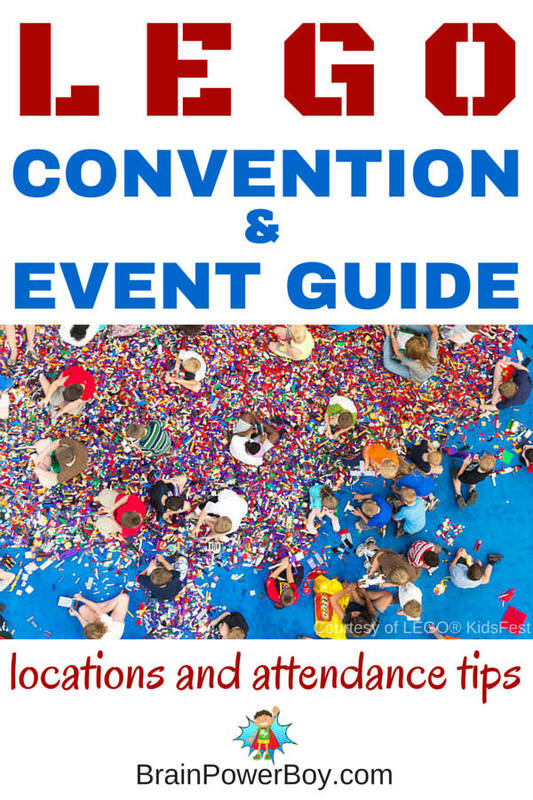 I hope you will find what you need in our LEGO Event and Convention Guide to make your trip a success. Feel free to comment with any other tips you have for attending. Please take a moment and share this post with others who love LEGO by using the sharing buttons below. Thanks much! My kids love building block and just now are getting into Lego’s so this is very helpful for me! Thank you Brianna, I am so glad to hear it was helpful. I appreciate the comment. Thanks for the tips Sheila! My grandson is not to that level yet, but maybe someday! My pleasure! The kids events are really for all levels of builders. In fact you don’t even have to build, you can just go and see all the wonderful creations other LEGO enthusiasts have made. This brings back good memories from when my son participated in a Lego tournament. It was such an awesome experience for him and his classmates! How fun is that?! LEGO tournaments don’t happen close to us but it might be something worth traveling to see. I have watched a few videos highlighting them. I am glad to hear it was a great experience for your son. I think Brick Fest comes to a place near us. We’ve never been. I was worried about the crowding, but maybe since the kids are older, it won’t be so bad. I had the same feelings you did regarding crowding. They are crowded, there is no doubt. I do think if you plan ahead and take breaks in between it is doable and fun. There sure are! I hope there is one close enough for you to attend. This is a fantastic resource! I didn’t even know about a few of these Lego events! We just went to Lego Americana at our mall a few weeks ago and it was breathtaking. Thanks for writing this post, it’s super helpful! It is so neat that you just went to LEGO Americana. I love those special display tours. I am glad to hear the info is helpful to you. Enjoy! I am so glad to hear your kids love Kids Fest. I have heard many good things about it. Aww, thanks for the nice comment on my posts – that means a lot! We went to a local event when they were quite small and I’m always amazed to see the models that people build. The time and patience and imagination is mind blowing! You are so right Clare. It is mind blowing. We went to a museum exhibit by Nathan Sawaya called Art of the Brick and it was simply amazing. I really enjoyed your tips for attending the conventions. I don’t do well with crowds so your tip about the breaks really resonated with me. Next time we head to something like this, I’ll remember to take breaks. Taking a break at events is a must for us. No one wants to stop having fun to do it but we are all better off when we do. Get Resources for Raising Boys Who Love to Learn Sent to Your Inbox!